Let's get straight to the good stuff, shall we? It's one thing to invent a mythology, populate it with fantastical gods, and then kill them off one-by-one. Cool, yes, but perhaps a little too easy. It's another thing entirely to take a known mythology, set your cross-hairs on its figurehead, and kill off somebody billions of people believe in. Yet, that's precisely what a few well-known authors have done. There are two gentlemen who have killed 'God' for laughs (or, at least, for satirical purposes), and they are James Morrow and Douglas Adams. In Towing Jehova, Morrow actually begins his tale with the discovery of God's naked, two-mile-long corpse, floating serenely in the Atlantic Ocean. The Vatican wants it buried in an iceberg, while atheists want it destroyed. In Blameless in Abaddon, Morrow continues the story, this time with God not quite dead, but a comatose centerpiece of a Florida theme park - at least until he's put on trial in The Hague for crimes against humanity. 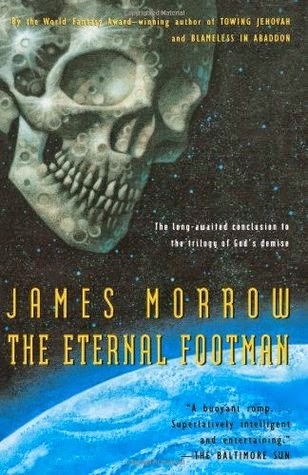 The third book, The Eternal Footman, deals a plague of death awareness, with God's skull a in orbit above as a blasphemous sort of new moon. 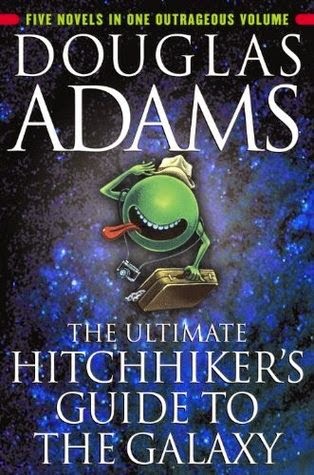 In The Hitchhiker's Guide to the Galaxy, Adams offs God in a bizarrely comic, ridiculously ironic puff of logic. It's a rather convoluted series of circumstances, all based on the impossible existence of the Babel fish - a symbiotic alien that that burrows into your ear and translates any language in the universe. The existence of such an impossible, yet useful, creature both proves and disproves the existence of God, based on the conflict between evidence and belief. In the last of the original books, Arthur traveled to the end of the universe to witness God's final message to creation. That message? The brilliantly comic, "We Apologize for the Inconvenience" which has more irony and blasphemy in its grammar than should be possible. 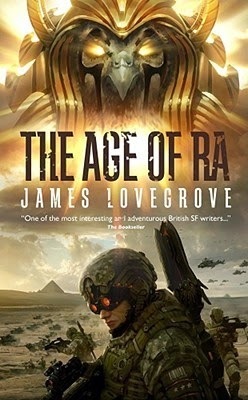 The Pantheon series from James Lovegrove, beginning with Age of Ra, takes a broader, more imaginative death-stroke to established mythologies - both contemporary and historical. Just imagine a world in which ALL of the gods who have ever been are real, in which they've gone to war, and in which the gods of the ancient Egyptians have defeated all others. Odin, Zeus, Allah, Jesus . . . all of them are dead and gone, leaving a modern world where men, women, and gods all walk the Earth. Here you have soldiers armed with ancient weapons (flails, maces, and sickles), modern weapons (guns, tanks, and planes), and magical weapons (god-powered staves and bombs), fighting alongside armies of mummies resurrected from the battlefield. 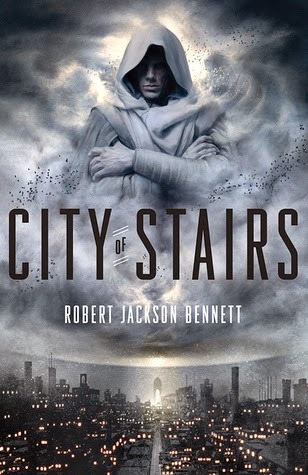 Getting back to invented mythologies and imaginative fantasists, Robert Jackson Bennett does a number on an entire pantheon of gods in City of Stairs. The story opens with a tale of conquest that extends so far as to have seen the conquerors murder the gods who once watched over the land of Bulikov, reshaping the landscape through the chaos of a catastrophic, anti-miraculous event known as The Blink. It killed the gods and destroyed their miraculous works, but there's still a lingering question as to the fate of the gods, especially with their miraculous items hidden away in a mysterious warehouse that puts Area 51 to shame. Finally, we come to No Return (and it's upcoming sequel, Shower of Stones) by Zachary Jernigan. This is a story set in a world where the gods are real, and where Adrash, the last god standing, remains floating among the stars, bored, depressed, and idly contemplating the destruction of the world below. He has crafted a series of metal moon-sized spheres, the orbit and rotation of which he shifts ever-so-slightly to keep his worshipers anxious and uneasy. He's already caused two cataclysms by dropping individual spheres upon the planet, but the next (should it come) will be the big one. The first book involves a plan to appease Adrash and bring peace to the planet, while the second calls for revolt against him. We have only City of Stairs in common this week (and I agree, I think we'll see this one on a lot of lists today). 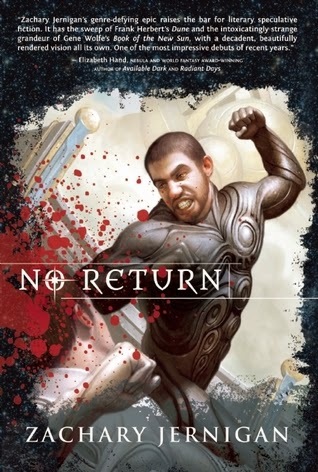 I've been meaning to read No Return for a while though, I have the audiobook which is going right now onto the backlist tbr. Douglas Adams demonstrated how you can tackle the subject of god and beliefs with some much-needed humor... Bless him! Great inclusion of Hitchhiker's Guide! Love it. Fine list. I totally forgot about "No Return." From the reviews I've read, Jernigan's book should be the poster child for this category. Yeah, I'm just about to start on the 2nd book, and it really seems to be all about killing your god. Good call with the Pantheon series! Haven't read Age of Ra, but I did read Age of Zeus. I need to continue with the series at some point. It was a fun concept. I have looked at Age of Ra a couple of times. Is it any good? I enjoyed it. Not exactly great literature, but a fun sort of Stargate mash of sci-fi and fantasy.